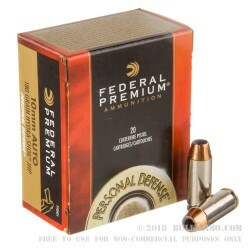 Federal's Hydra-Shok ammunition has been popular for personal defense for decades. The notched copper jacket is designed to expand upon impact and Hydra-Shok ammunition actually has a solid post that the load core is formed around. 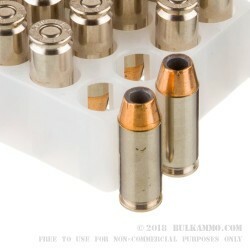 This load has a muzzle velocity of 1030 fps which is lower than many other 180 grain 10mm loads. 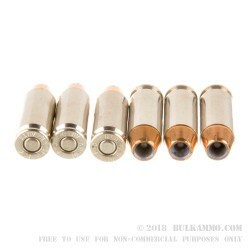 This will result in lower recoil than a higher pressure load. Federal Hydra-Shok is produced in Anoka, MN and is one of the many extraordinarily successful products developed by Federal over the years. Federal and sister brand Speer are among the world's best manufacturers of self-defense handgun ammunition.